An all-new collection of short stories from the world of Magnus Chase. 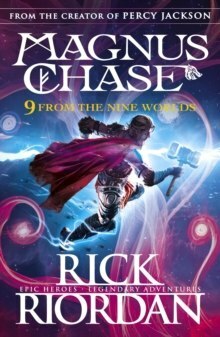 With an exclusive pull-out illustration of the world tree!Travel the Nine Worlds with your favourite characters from the world of Magnus Chase in a brand-new series of adventures. Find out why Amir Fadlan hates clothes shopping in Midgard, see how Mallory Keen learns in icy Niflheim that insulting a dragon can be a good idea, and join Alex Fierro as they play with fire (and a disco sword) in the home of the fire giants, Muspellheim.